Ethel and Leo is one of my favourite shops to visit here in Perth. They have the most amazing dresses, that just flow and make you feel like a bohemian chic goddess! Hailing from the serene beaches of Western Australia, Ethel & Leo has a love for anything coastal and an addiction to colour! They have innate appreciation for the beauty in life that surrounds us here in WA and encourage those free spirited souls to express their inner creativity & believe in magic. Fostering a unique aesthetic and impeccable quality standards, Ethel & Leo is handmade, with original artwork and timeless, hand printed silks. 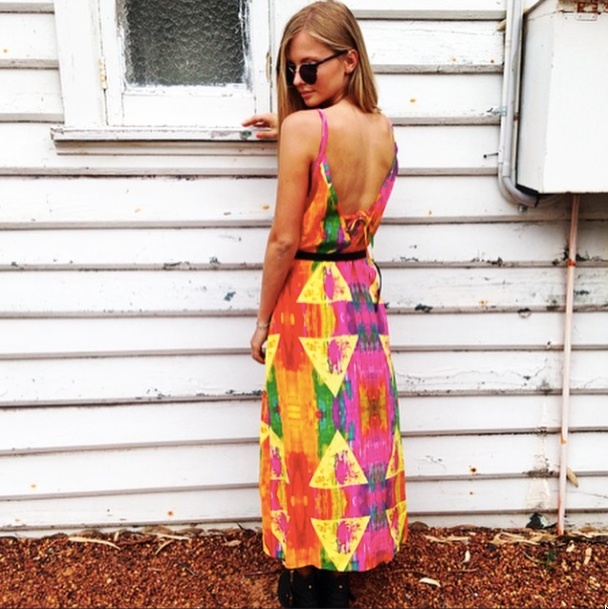 After our collaborative exhibition in November 2014 our very first limited edition silk maxi dress was born! I loooove it! The colours turned up amazingly true to the original artwork “Future of now” that turned beautifully into a unique silk fabric for the limited edition E&L x FG collaboration. 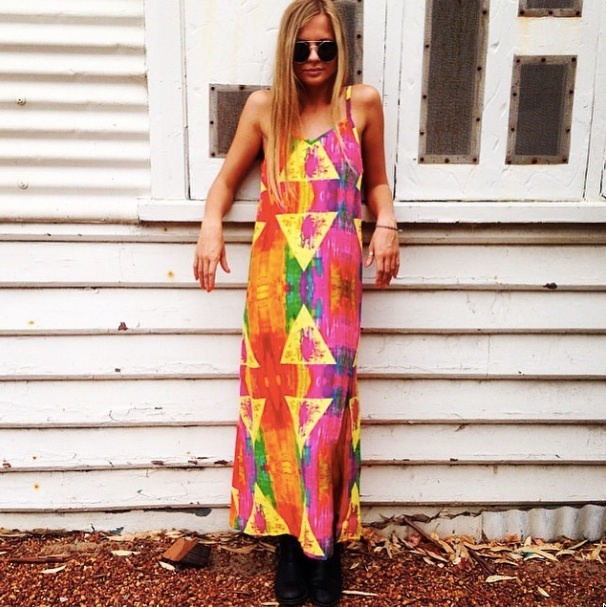 Ok, I confess – I already own too many Ethel and Leo beauties and I just can’t stop wearing the “Future of now” maxi dress! !